Our guest blogger is Hugh Curran – Head of Digital and Social @ Atomic, who discusses the importance of determining a persona/content calendar strategy for social communications. Atomic are a Creative Agency based in Dublin and are IAB Ireland Members. Atomic’s clients include Leinster Rugby, Audi Ireland and Life Style Sports. Hugh is a member of the IAB Ireland Social Media and Mobile Councils. Last month my learned friend Cian from Radical wrote a great post on defining the role of Social Media in an overall marketing campaign. So what do you do once you’ve figured it out? Where do you go from there? Here’s the thing. Committing to running social channels for your brand or company doesn’t just mean that you add the relevant accounts to your phone app. You’d be forgiven for thinking that, considering some of the ill conceived posts one sees on a daily basis. But if you want successful social communications then you have to be prepared to do the work to achieve it. Who are you and how does that get communicated? The first step in all of this is figuring out a persona for the brand. This is your tone of voice. All too often brands won’t have this agreed and the posts begin to reflect the tone of the community manager rather than the brand. In this industry we all know that it’s about consistency and in the digital world we live in that definitely includes social. Creating a persona or tone of voice is pretty straightforward though and it’s never too late to do it. What you need to do is decide who you are (as a brand) and what you stand for. That part should be relatively simple. It should be in your mission statement or at least part of your corporate identity. When you have that information decide what it is you’re on social for – e.g . customer service, information, content etc – and apply the brand lens to what you want to say with that in mind. The obvious thing to do is put down what it is you want to say in your own words and then think about it from the brand point of view. “How would the brand say it?” should be the first question you ask yourself. The major benefit to this is that whomever posts on behalf of the brand will now know how the brand sounds. Creating a lexicon of words that the company uses and doesn’t use and rules about how posts appear help develop a consistency and mean people will grow to experience your brand as it has been through other channels. A great example of this is Popchips Ireland. If you look at their social feeds you’ll notice that they don’t use capitalisation in any of their posts. This is a house style and one that is religiously followed. Now when you see posts from them and if there is a capital letter you know there’s been a mistake made. And it works for their lighthearted and ‘let’s not be too serious’ brand. Once you understand that part you need to start planning your communications. It’s not good enough that you just post as and when and what you want to if social is part of your marketing mix. In order to ensure consistency of messaging you need to sit down and plan what you’re going to say and when. That doesn’t mean that you have all your posts written months in advance. It just means that you should know what is coming down the line and you should have an idea of what you’re going to say at various points. 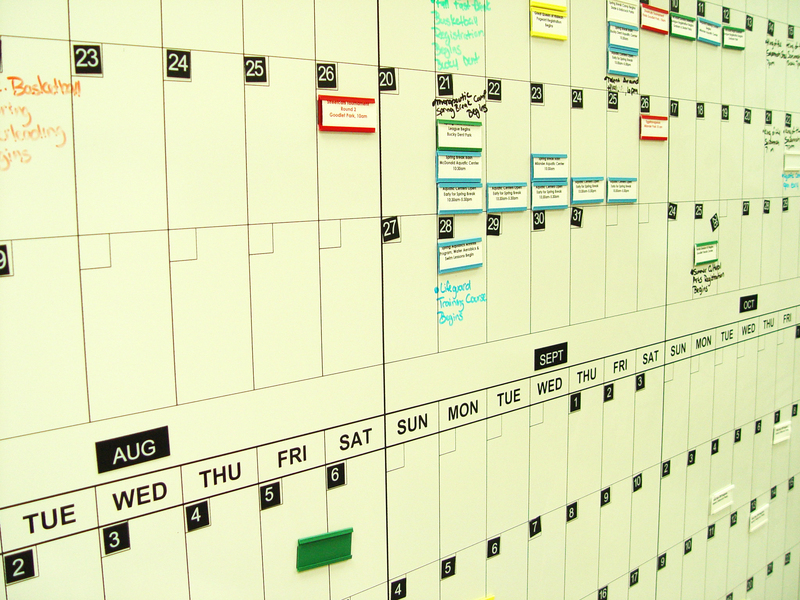 For me, the planning of a social calendar should have two parts. This is the macro view. You can look at it as far ahead as you want but I like to keep it about 6 weeks ahead. This basically means that you should be looking at your marketing schedule and understanding all the things that are coming down the line that can affect your schedule or things that you ought to be communicating around. The micro view. This is a content calendar that identifies, at the very least, what topics you’ll post about day to day and the frequency of those posts. For me I usually work about two weeks in advance and I will try to have the copy for each of these posts at least drafted so that I can schedule them to go out at certain times. This is not to say you have to rigidly stick to this calendar. Of course things will come up that are unexpected that you can communicate on, or if you use social for Customer Service as well, you can’t schedule these posts, but for everyday comms then this allows you to see what posts are coming and at what time etc. It is especially helpful if there is more than one person managing accounts or if a community manager is out of the office. I find it particularly easy to lay down content calendars within Google Sheets. This means that you can share and collaborate with other stakeholders to agree copy and timings. By setting up a sheet as you would a normal calendar you can add rows below each date for posts. This way each user can clearly see what copy is going out on what days and what images or links will accompany the post. When you’re posting on social the Holy Grail is to post something that gathers momentum. Working with a calendar allows you to craft your message rather than have to think of something on the spot and if a post is well put together and thought out then you’ll get people sharing and commenting etc on them. Of course reactive posts can often be the ones that get the most traction, especially if you’re on the pulse, but you can’t always rely on something happening that you can react to. So it’s best plan and schedule. Give yourself time to create posts that people will enjoy. And if something happens that you can respond to and that is relevant to your brand – well that’s a massive bonus. If you have a budget for promoting social posts this also helps by letting you step back and see all the posts you have coming. This will help you identify which posts on which dates are particularly important and you can then work to decide a budget and targeting options for putting the budget to good use. The bottom line is that laying down a plan for communications on social is as important as laying down your media spend for above the line communications. You’d never go into an ad campaign without agreeing a spend, strategy and media schedule with your media agency so why would you go into social without deciding what you sound like and what you’re going to say?